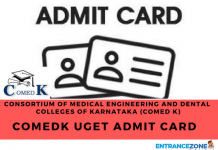 AKTU has announced UPSEE 2019 Admission Notification. UPSEE 2019 is an online Entrance Exam for admissions in the various courses in the field of Technical, Management, Architecture and Computer. This exam is conducted by Dr A.P.J. Abdul Kalam Technical University (AKTU), Lucknow. Furthermore, the Examination dates are released by AKTU. See the table below for UG and PG exam dates. Candidates should go through the information brochure before applying. The university will release it prior to the exam. Furthermore, they can go through the article to get all the details regarding the UPSEE 2019 Admission Notification. Given below are all the important instructions and information an aspirant must be notified about. For any misunderstanding, the candidate can visit the official page of UPSEE 2019. The link to the same is given below. Read the points carefully in order to understand the simple issues faced by the candidate. Application for UPSEE 2019 can be made by submitting the online application form. This is the only way to apply for the exam. The online application form is available on the official website of UPSEE and the aspirants can submit it from the 23 January to 15 March 2019. The candidates who have passed their qualifying exams from any institute that is in UP or whose parents are natives of UP are eligible for UPSEE. 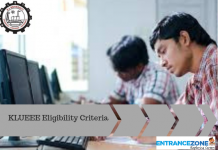 This exam can also be attempted by candidates who have passed the qualifying exam outside of UP and whose parents are not domicile of UP subject to the eligibility criteria in the information brochure. And Candidates must copy down their application form number in order to cope up with any future requirements. For admission in courses covered under UPSEE 2019, there is no age limit. For successfully submitting the application form, the candidates need to upload the scanned images of their recent photographs, left-hand thumb impression, and signature. The final allotment of seats in the participating college will take place through the counselling process and it will be strictly according to the guidelines of UPSEE 2019 merit of candidates. The exam conductor body will not refund the fee that the students pay at the time of counselling process under any conditions if the candidate is absent during the admission process at allotted institutes. The exam date for the exam of UPSEE is released by the board. The dates can be used by the candidates to prepare a personal schedule and also they do not miss any expiry date. Make sure to go through the schedule below. 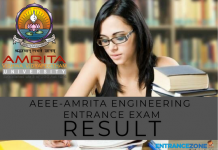 Candidates can go through this page and official website of UPSEE and AKTU in order to apply for the exam and get notified about the various aspects of the examination. Examination Conducting Body: Dr A. P. J. Abdul Kalam Technical University, Uttar Pradesh (Formerly U.P. Technical University, Lucknow). Name of Examination: U.P. State Entrance Examination. Official Website: www.aktu.ac.in and www.upsee.nic.in. Date of Examinations: 21 APril 2019. Detailed information related to UPSEE 2019 Admission Notification is given below. Stay tuned for more updates regarding this exam on Entrancezone. upsee 2019 application form, upsee.nic.in login, uptu form 2019, uptu form date 2019, uptu result 2018, uptu online form 2019, uptu entrance exam 2019, uptu exam date 2019.